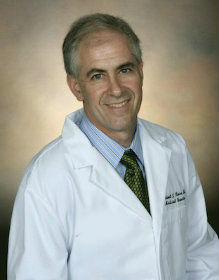 Michael J. Koren, MD, FACC, American Board Certified in Internal Medicine and Cardiovascular Disease, 1991 and 2002. Dr. Michael Koren graduated, with honors, from Harvard Medical School and completed his post graduate training at Cornell Medical Center, New York Hospital and Sloan-Kettering, he served as a 3rd year Chief Resident in Medicine and published several important scientific papers as a cardiology fellow. Dr. Koren relocated to the Jacksonville area in 1991 and raised his family here. Dr. Koren founded Apex Cardiovascular Group in 2000 and in 2018 he joined First Coast Heart & Vascular Center. He specializes in preventative cardiology, heart rhythm disorders, valvular disease and nuclear cardiology. He has published extensively in the world’s most prestigious medical journals including New England Journal of Medicine, Circulation and The Lancet. He also plays competitive soccer and composes music in his spare time.